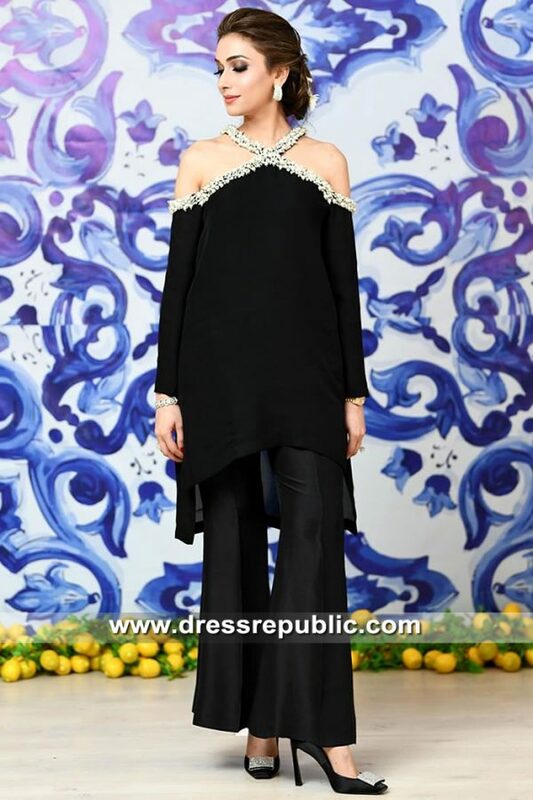 Egg plant mesuri front open floor-length shirt. 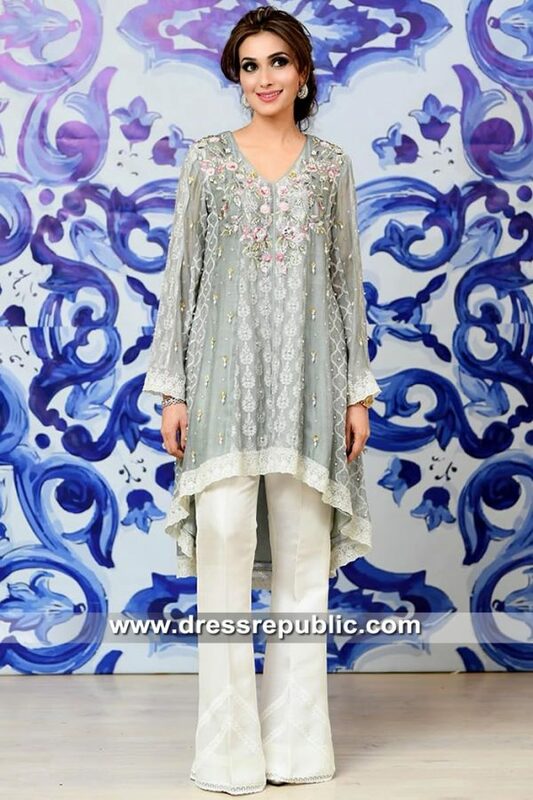 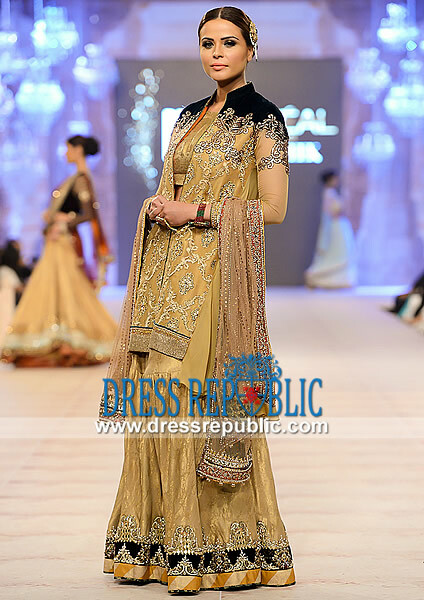 Featuring rich detailed embellishments on front and all around the hemline with ivory satin applique; turquoise jamawar borders all around; sequins shower throughout the back. 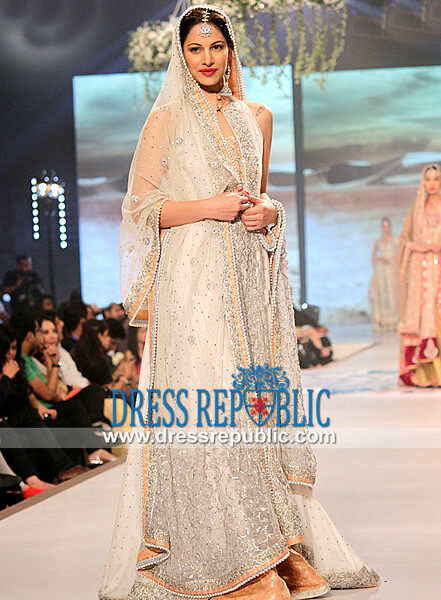 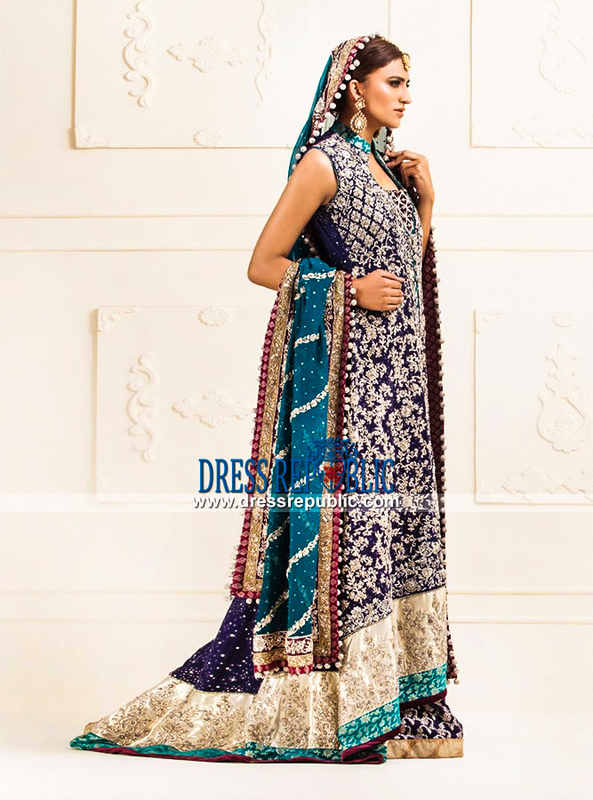 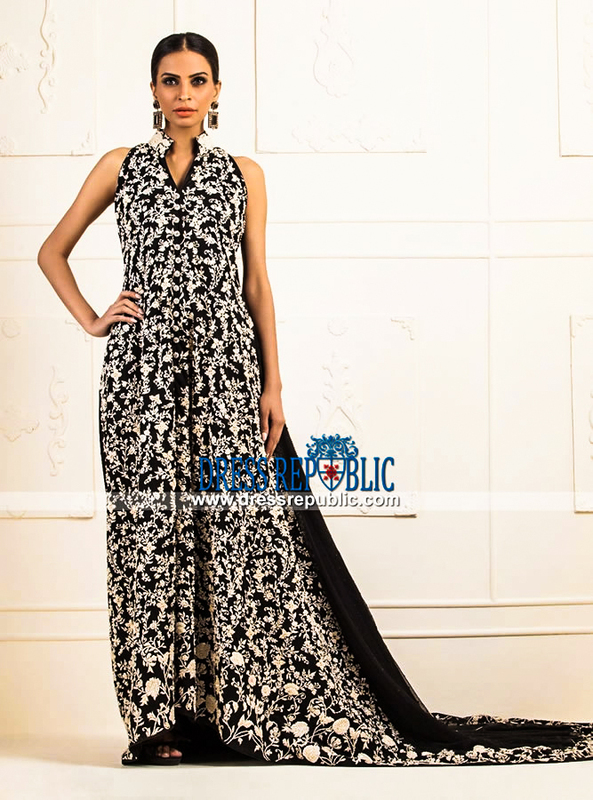 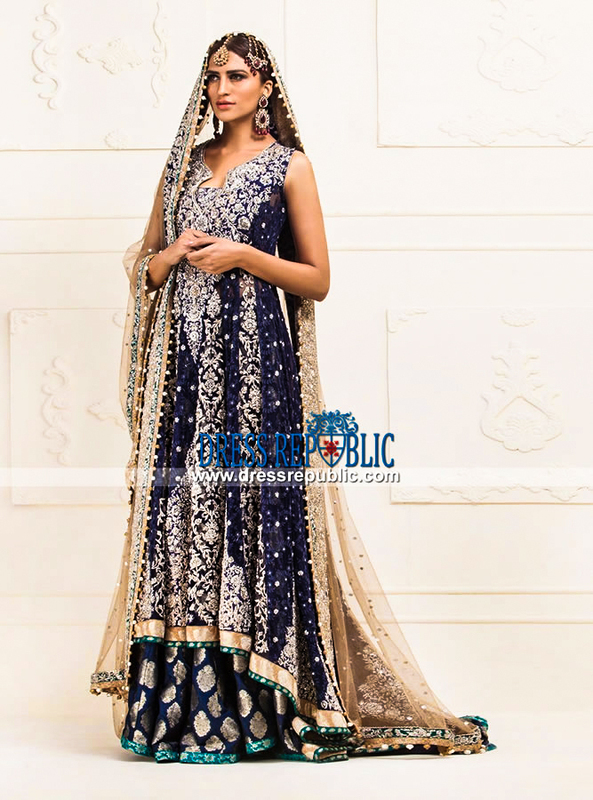 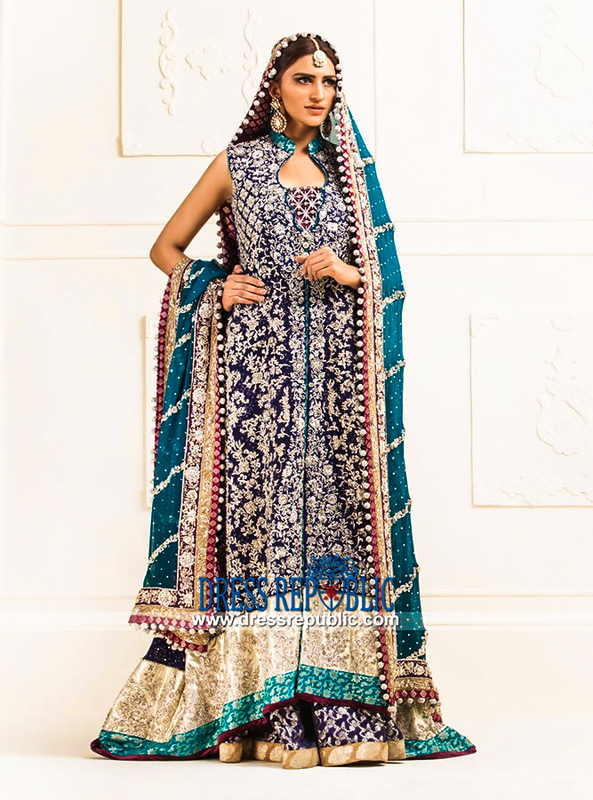 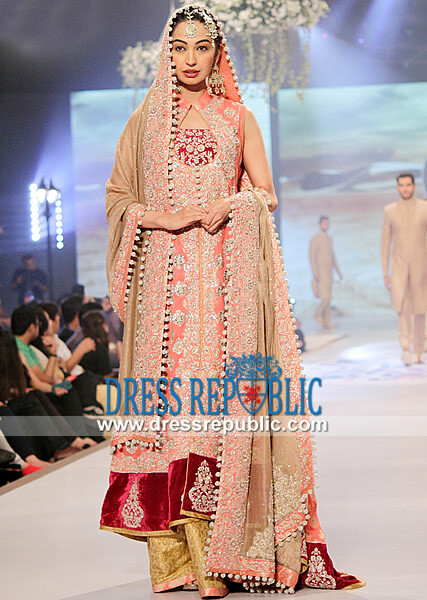 Blue ombre chiffon dupatta is adorned with embellishment detailing throughout with sequins shower.